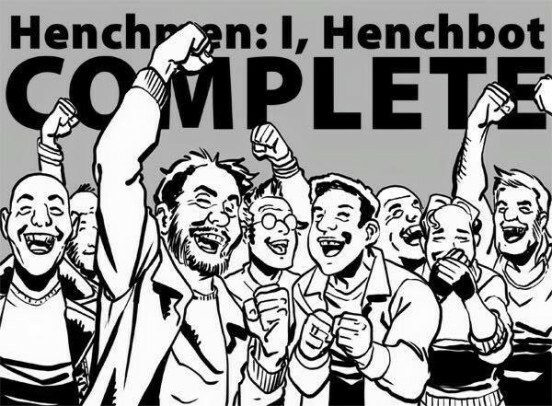 Henchmen Updates – Issue Six, Henchman and Henchwoman t-shirts, and more! A big update: Click through for news about our awesome new shirts’ a special deal for signed books and a piece of art from Ryan; as well as our upcoming convention schedule! As many of you know, we made a small batch of T-shirts to celebrate our launch at Wizard World Chicago Comic Con. They went quickly, and we’ve been asked quite a few times if we had any extras hiding out, to which we’d always respond with a sad “No.” That changes today!